Desc: Landstrom's Black Hills Gold Sterling Silver money clip. 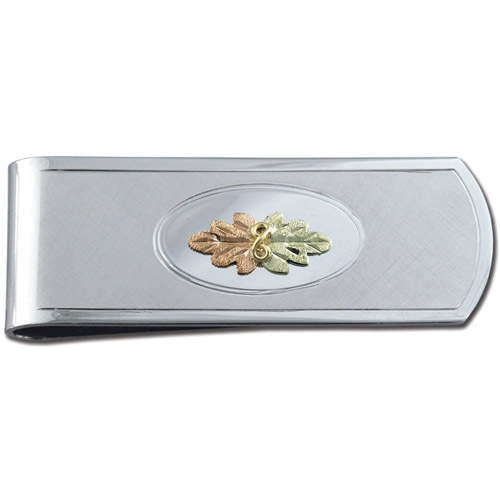 The money clip is fashioned from Sterling Silver. There are rose and green gold leaf designs on the top in the center. Made in the United States of America.